A grey overcast February Sunday was quickly brightened as we rolled down S. Congress in Austin, Texas on our way to the hotel. With the windows down in our crappy taxi (should-a ordered an Uber), live music floats in, suddenly making a Sunday business travel day a perfect day in Austin. After dropping our stuff at the bland, but nice JW Marriott, we hit the town. Live music calling; we head straight to Guero’s Taco Bar. I can’t speak to the tacos. 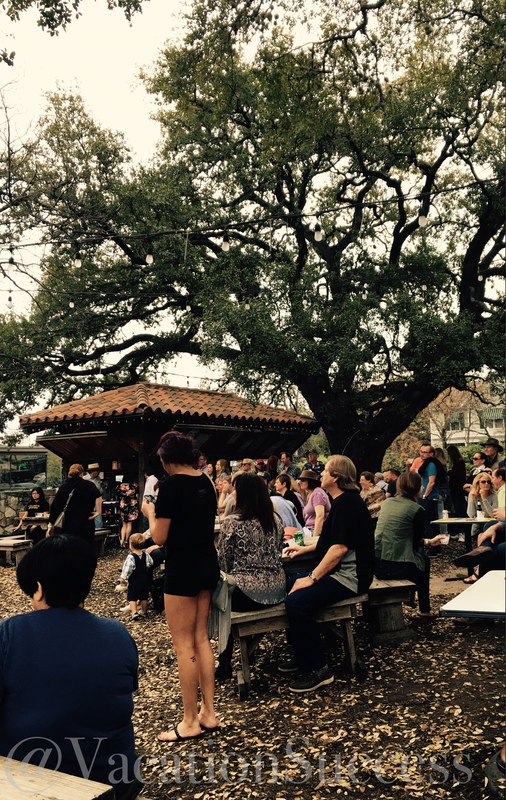 But a can a Tecate in Guero’s oak tree garden, listening to Mitch Webb and the Swindlers was just about as perfect as a perfect day can get. We sat at well-weathered picnic tables, with new friends and took it all in. 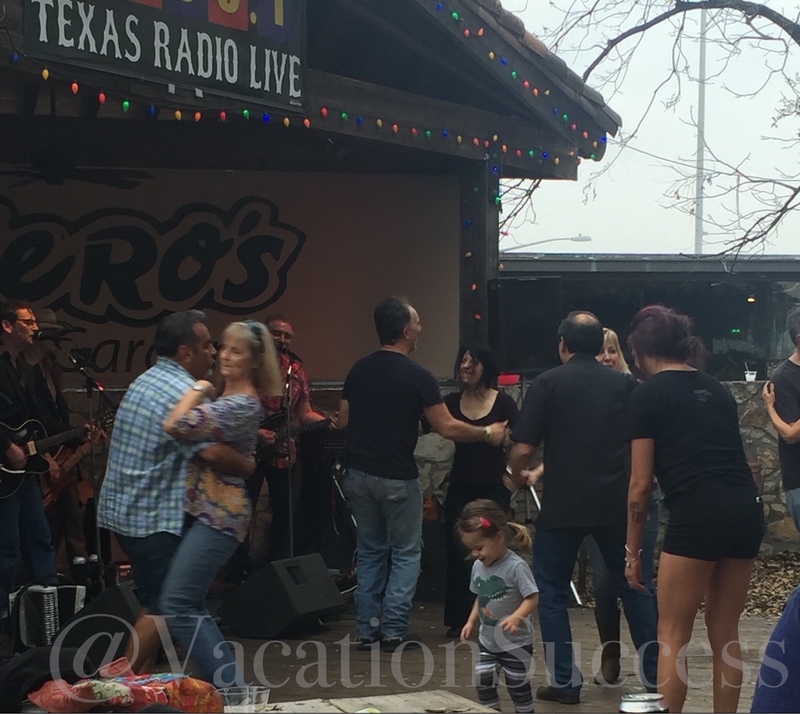 Families with small children danced along side young baby-boomers swing dancing to the band. Dogs barked and played with one another under nearby tables. Young couples cuddled totally oblivious to everyone around them. People watching doesn’t get much better than this. When we finally tired of shuffling on our picnic bench to avoid the crow perched directly above us…nothing could ruin a perfect day faster than bird poop on the head. We headed across the street to the Continental Club. 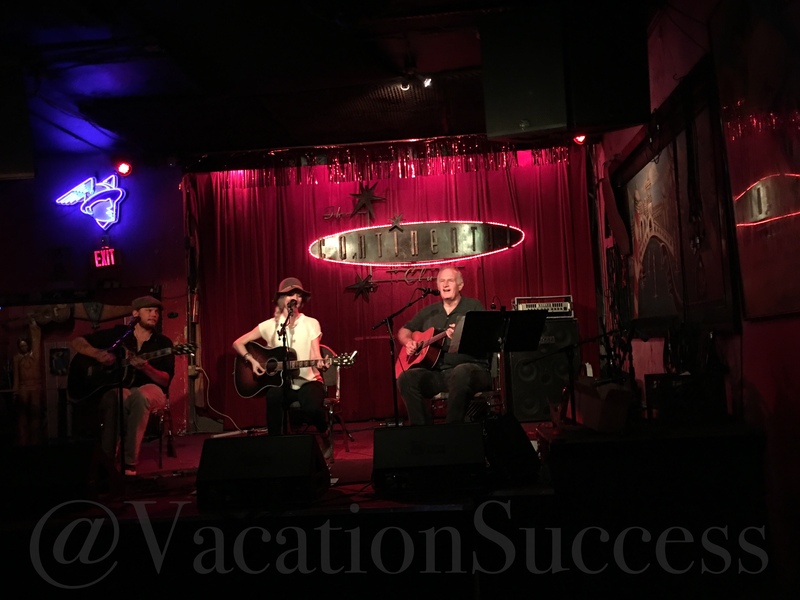 The Continental Club calls themselves the grand-daddy of all music venues in Austin. Stepping off bustling, bright S. Congress in the middle of a Sunday afternoon into the Continental Club is a shock to senses. It shoddy, dark, tired and quickly shows you that grand-daddy refers to not only its stature but also its presence. We loved it! Casper Rawls play the Sunday matinée show, and on our particular Sunday he was joined by two other musicians creating a beautiful, bluegrass trio. We had plans to also take in Saxon Pub on Lamar Street, but ended up eating and drinking too long into the night. Next trip. Follow us on Twitter or Pinterest @VacationSuccess or subscribe to our blog.